Alex and Luke are Aussie superstars in the magic world and are now back at the Melbourne International Comedy Festival with more of their hilarious magic in glorious 3D. They are proud winners of the Best Comedy Award 2014 at the Melbourne Magic Festival and you can see them at the Arts Centre Melbourne very soon indeed. 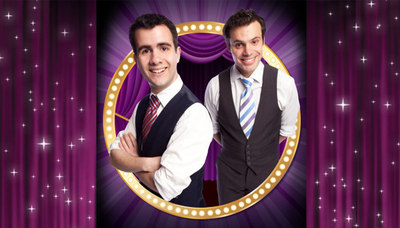 These guys had smash-hit shows at the Sydney Opera House and Melbourne International Comedy Festival last year, and now Alex and Luke are back with more amazing magic to delight us. 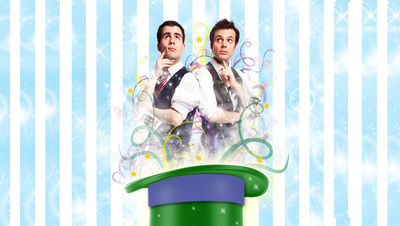 Alex and Luke spend their days at magic school learning marvellous magic instead of boring times tables. But even at magic school Alex and Luke can’t escape dreaded homework! Ugh! Boring! These guys need your help to pull off the ultimate magical feat, to put an end to homework once and for all. Come and help them make their parents disappear. Yes really! They promise trickery of the highest order! Head over to the Arts Centre Melbourne website and book your tickets. NOW!